These two photographs were taken during the First World War. They illustrate the effect that the war had on people. If you look at the first photo this shows a proud man in his new uniform ready to serve his country. The second shows a dejected, weary, thin man a couple of years later. To date I have been unable to find the war records of either my grandfather or uncle, so I don’t know what they did, or where they served? 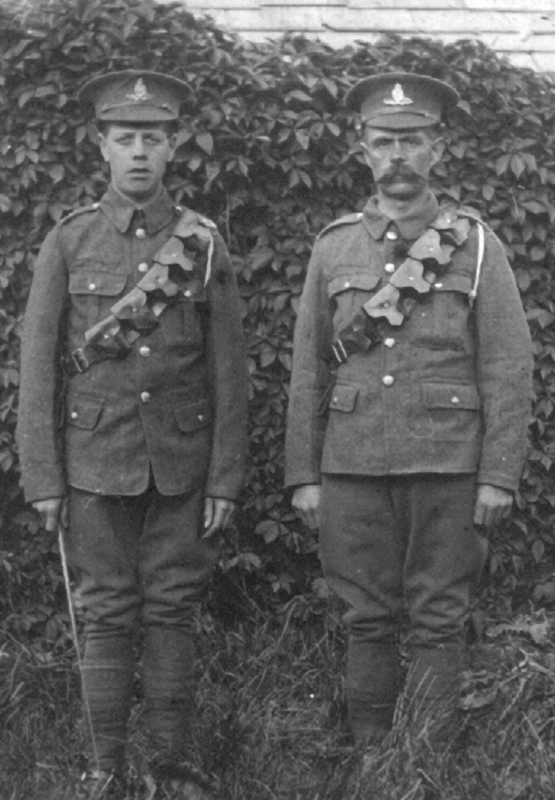 From their uniforms I surmise that they were in the Royal Artillery – Clarification and help welcomed. Family remember that JH signed up for the army to keep an eye out for his 16 year old son who had run away to join up. JH would be about 40. They both ‘survived’ the war. My grandfather died in 1925 – aged 50. On his death certificate it states he died from Tuberculosis. His wife and children doubted this, they thought he actually died from the results of coming into contact with mustard gas. 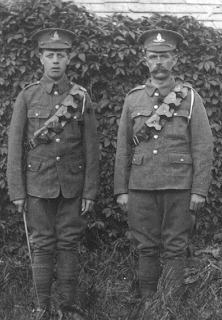 Following the war JH had joined the fire service in Sandycroft near Chester. 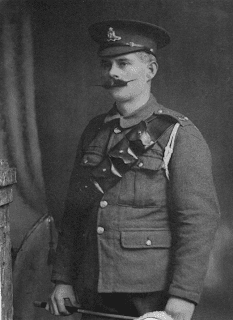 During his service it is believed he “visited” the munitions factory where mustard gas bombs were being dismantled. 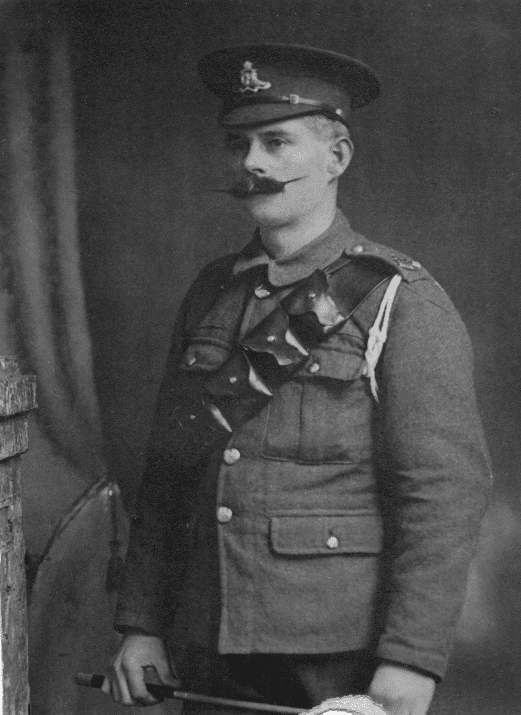 This entry was posted in Uniform, Williams, WW1 by Tony. Bookmark the permalink. Great pictures, I especially love John Henry's proper moustache! Have you looked through the Flint WWI Index, which which is held at Flintshire RO? You can search online (http://www.flintshire.gov.uk/wps/portal/english/worldwar1). I've had a quick look at there's a John Henry WILLIAMS who survived the war listed. Address is given as 6 Tai Drill, Greenfield (Ref: D/DM/181 GREENFIELD L155) There are also quiet a few John WILLIAMS' listed! These cards were filled in by the solider's themselves when they returned from the War. Or, if they had fallen, a family member. I've recently found a load of my lot on there and the archive office provide a very quick photocopy service. The maximum you can request in one hit is 20 copies and it will cost you £5 (that's their minimum payment)You can pay by card if you call them up. Thanks for the comments Carole, I will take a look at the index at the FRO site tomorrow. I will also check what the others in my Williams clan were doing during WW1. One thing I forgot to mention in the post was that John Henry his wife Martha and children moved to Hoole (Chester) in 1900. These photos definitely show the effects of war, it looks like he lost thirty to forty pounds. Thank you for sharing these. It will be interesting to see what type of unit he (Sr.) was in and learn what that unit went through.